Maybe you embrace the term procrastinator. Maybe you prefer to think of yourself as “deadline driven.” But whatever you call it, there’s no denying that procrastination leads to a particular set of travel challenges understood only by people who—by choice or compulsion—leave everything to the last minute. Here are some hard truths that travel procrastinators should know, and some tips for making the most of a trip when you’ve waited too long to plan or book. You know who hates middle seats on planes? Everybody. In the current age of advance seat assignments, window and aisle seats get snatched up early, leaving the dreaded middle seats to the procrastinators and anyone else who needs to book at the last minute. Procrastinator Tip: Fly a no-advance-seat-assignment airline like Southwest. As long as you can check in 24 hours in advance, you should be able to get into a boarding group that will allow you to score an aisle or window seat. Yes, we're all—procrastinators and advance planners alike—intrigued by stories of bold bookers who waited until the last minute to book and scored an amazing deal. But most of the time, if you've got a specific destination and a specific date range in mind, you're going to end up paying more to book at the last minute. Procrastinator Tip: If you can be flexible with your destination or your travel dates, there's a whole world of good last-minute deals out there. Sign up for airfare alerts from SmarterTravel (we do that!) or another last-minute fare aggregator. And find same-day hotel availability with an app like HotelTonight. Procrastinators with an international trip on the horizon, heed this warning: If your passport is soon to expire, you may find trouble ahead. Dozens of countries have six-month (or three-month) passport validity rules, meaning that if your passport expires within six months, that country may refuse you entry. In general, it's always a good idea to renew your passport a bit early, both because of this validity rule and because passport renewal wait times are longer in the winter, spring, and summer. Procrastinator Tip: Some passport agencies allow travelers who have foreign travel booked within two weeks to schedule in-person expedited passport services. Note that this option won't work for everyone because it's subject to appointment availability and the proximity to a passport agency. How do you turn a five-hour flight into a 12-hour ordeal? By adding an unnecessary stop and a long layover into the equation. For every direct non-stop flight you can find to a destination, there are likely many more connecting flights to choose from. Connecting flights can tack on hours in transit and eat up precious vacation time at your destination. But put off buying your ticket and you may find the direct non-stop flights are already booked, leaving you with no choice but to fly between Los Angeles and New York via Chicago. Procrastinator Tip: If you can find a flight that's inconvenient for another reason, say because it leaves (or arrives) in the middle of the night or departs in the middle of the week when most people prefer not to fly, you may be able to find a nonstop flight with room, even at the last minute. Some of the world's most incredible destinations—among them Machu Picchu, the Galapagos, Antarctica, and Italy's Cinque Terre—already impose strict limits on the number of tourists allowed per year. Still more cities, including Venice and Barcelona, are toying with the notion of restricting visits. If you wait until the last minute to book, you're not giving yourself enough time to secure a spot in these coveted landmarks. Procrastinator Tip: Sometimes you can work around permit and advance reservation needs by booking a spot with a tour operator that has already secured the spots. When you don't pack until the last minute, you significantly raise your risk of arriving at your destination without key items. Conversely, leaving packing to the last can also lead to overstuffed bags, since you haven't given yourself time to pack strategically. And if you pack so much that you need to check a bag (instead of going carry-on only), it's going to cost you in bag fees. Procrastinator Tip: Keep a packing list on hand. (May we suggest our Ultimate Packing List?) This will keep you from overlooking the basics and give you a place to jot down custom extras as you go. Some airlines—including Allegiant, Frontier, and Spirit—charge you more if you wait until you're at the airport to pay for your checked bags. Frontier, for instance, charges $30 on its website to cover the cost of a checked bag, but ups that to $40 if you wait until the airport to pay, and $60 if you decide to check your bag at the gate (or if you try to sneak onto the plane with a larger-than-allowed carry-on bag). Procrastinator Tip: Some travel and airline-associated credit cards count free checked bags (or checked-bag-fee reimbursement) among their perks. 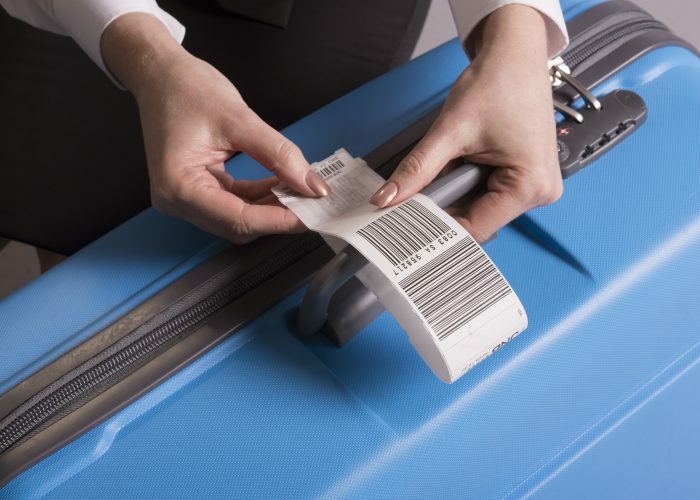 If you tend to check bags, and don't want to be bothered with extra fees at the last minute, it can be worth the annual fee. Christine Sarkis is married to a high-functioning procrastinator. Follow her on Twitter @ChristineSarkis and Instagram @Postcartography for more advice about making every vacation the best vacation.